Smells Like Team Spirit raises over £1200 for Scottish Huntington's Association! Pictured from left to right: Simon Allison, Ruth Weir, Gemma Powell (Scottish Huntington's Association) and Richard Wilson. 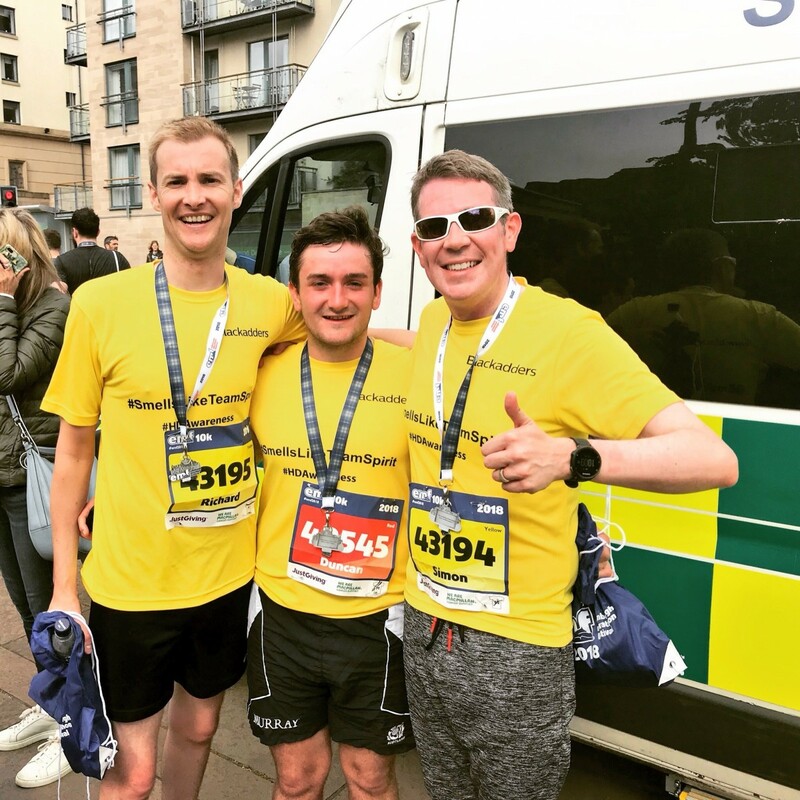 Blackadders Employment Lawyer in Your Pocket team, although technically two are corporate lawyers, recently took part in the EMF (Edinburgh Marathon Festival). 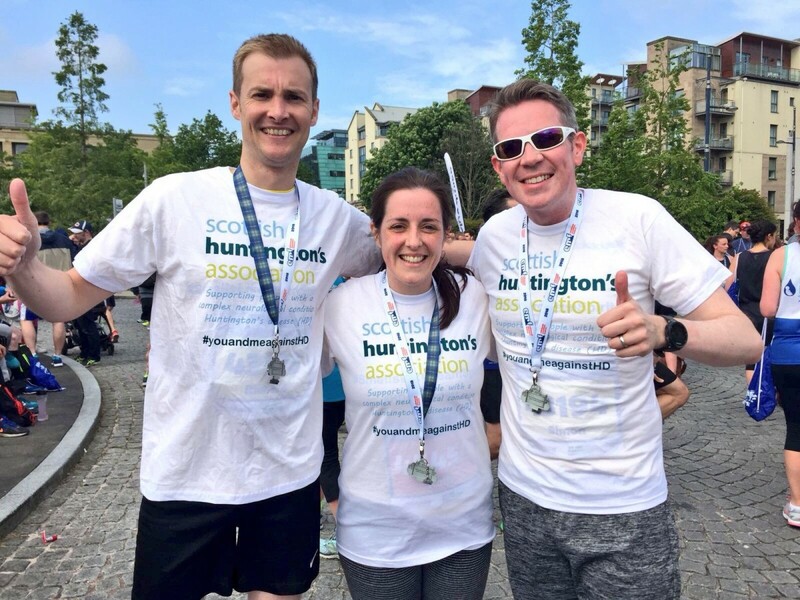 The team which included Ruth Weir, Richard Wilson, Duncan Milne and Simon Allison - all ran 10K in aid of Scottish Huntington’s Association. Huntington's disease (HD) is a hereditary illness (which means it is passed through families) and a neurological condition which is part of a group of diseases that affect the brain and central nervous system. With HD, specific brain cells stop working properly and then die. In 1989, Scottish Huntington's Association (SHA), a Scottish charity, was established by families living with HD when there were very few services for people with HD. They set up family support groups and since then have developed an extensive network of specialist services. Ruth, who was the driving force behind the Smells Like Team Spirit 10K, said that “We are delighted to have raised a fantastic total for a charity that is so close to our hearts. The run itself was tough but we all managed to finish with smiles on our faces!”. The Smells Like Team Spirit team raised a grand total of £1260.20 for Scottish Huntington’s Association! !